The journey to restart my life and be better than the man I was before. It’s no secret that men gain weight in the first year of your marriage. Or maybe it is, and if so then try to eat more vegetables. It’s also no secret that men tend to gain weight when their wife is pregnant. They call it “Sympathy Weight” I call it an easy excuse to snack at 2am because my wife (and baby) wants pizza and ice cream. Compound both of those lovely times in to the same year and you have yourself a full blown case of #Dadbod in no time. I’ve gained a surprising 30 pounds in the past year and it’s finally become noticeable. For a while I saw the number on the scale moving up, however it wasn’t until a pair of pants I was wearing (a pair of pants I’ve been wearing for years) finally couldn’t take the strain and the little button that finally couldn’t gave up and flew off in a mass exodus of freedom. To where it has gone, I shall never know, but I thank that little button for doing what it had to do. Stress has always been a factor in keeping weight off a person. And over the past few years I’ve had truckloads of it. This past year, and the year preceding it have been pretty much stress free. Just the excitement of building a life together with my love, and that’s more exciting than stressful. I’m also getting up in years so that metabolism that would let me eat a large cheese pizza every day doesn’t just work itself off anymore. 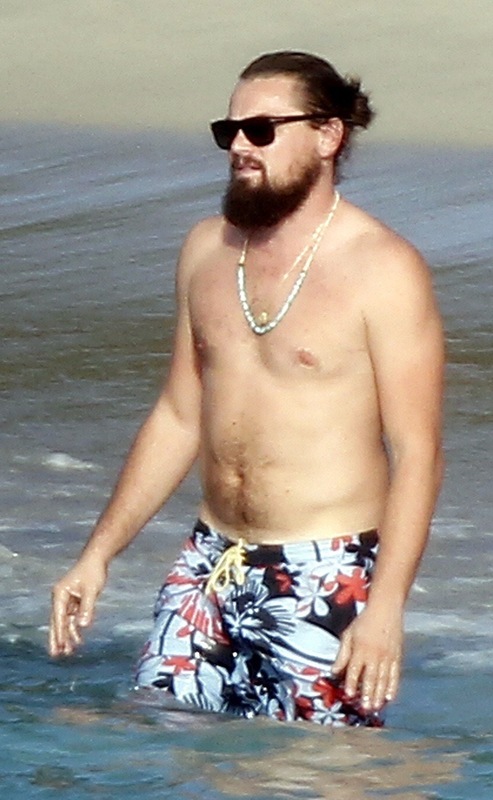 I’ve developed what is recently been coined a #Dadbod. At first I wasn’t too concerned about it, actually I was pretty offended by the term. However after struggling with other tight fitting clothes and seeing my image in pictures today versus 2 years ago, I’ve come to understand, and represent the term quite well. Not that I am proud of it, but becoming a father and suddenly sporting a #Dadbod did bring a little realization that I’ve reached a new stage in my life. A stage I didn’t think I’d ever get to. Being a father, preparing to be a father for the first time, I envision all the things I will need to do, to say, to teach to my little one. Picking up my child, carrying them around, running with them, teaching them how to be healthy and active, yep, I’m not going to be very helpful if I’m winded after climbing a set of stairs. There is a serious need for me to shape up. Fortunately, babies are small and just need to be picked up and held for the first little while so I’ve got some time before that running around that I keep hearing so much about. Getting rid of the #Dadbod is necessary to ensure that I can be there for my child. If we were out living in the wild, the father is the protector, the hulking beast that defends and scares away predators and other threats. A big belly is not going to scare away anything other than flirtatious women (and I don’t have to worry about that anyway). But I also pictured my dad as that big strong guy that was always there for me, the invincible giant that could move mountains and fight bears. I want my kids to see me like that, not some blob that can make waves with their belly. This entry was posted in Finding Happiness, Finding Health, Finding Self Respect, My Journey and tagged beginning, challenges, change, children, determination, family, goals, health, improvement, journey, life, motivation, positivity, progress. Bookmark the permalink.